The model automatically creates a file called lake.csv, that contains information about the lake volume balance, surface heat balance and other lake-scale variables that may be of interest. The model can be configured to produce a time-series of any chosen variables at a custom depth. This is useful for plotting model output in Excel, R or MATLAB. If the xdisp command line argument is invoked, then a plot window will open and display results as the model is running. This plot window is entirely customisable, and this is done via the plots.nml text file. This file allows setting of the window size, number of plots, variables to plot, and color limits. 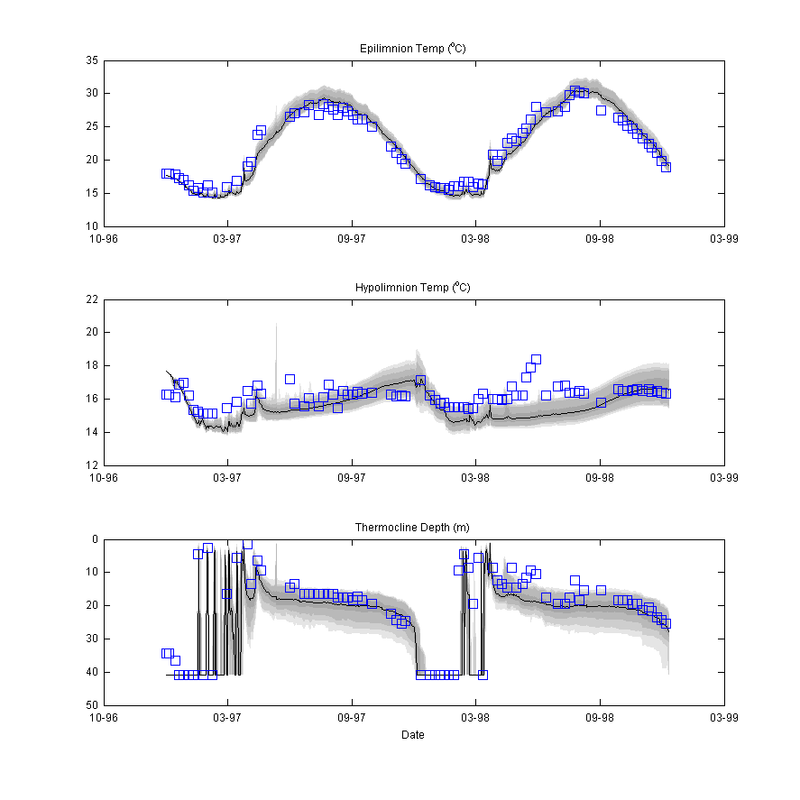 Variables that can be plotted include: temp, salt, rad and any FABM state or diagnostic variable. The model can be Managed within R via the GLMr and glmtools packages. Click here for the glmtools tutorial (v1.4). The model results area able to be analysed using the Lake Analyzer program developed by Read et al. (2012). 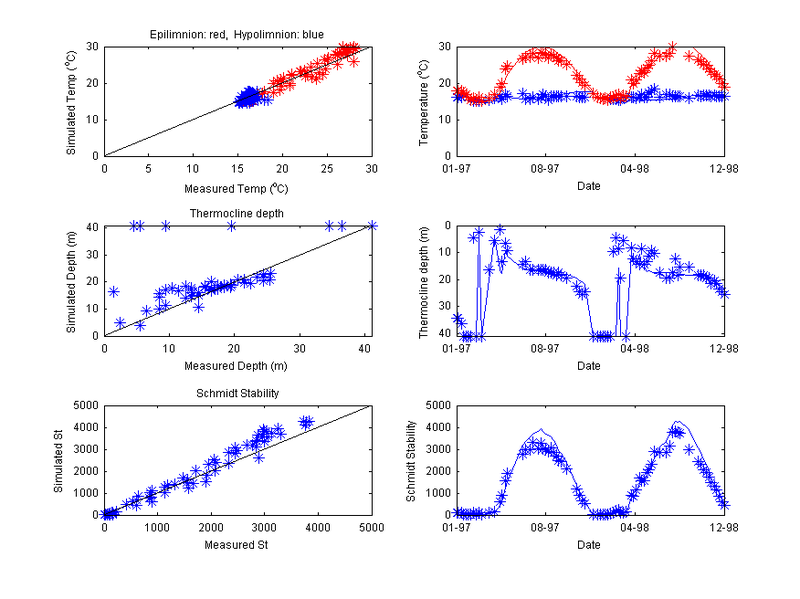 In particular modellers can use this tool to compare their simulations against metrics such as thermocline depth, lake number and Schmidt stability etc. Refer to lake results for examples. MATLAB scripts to use GLM with LA are available ..here.. . Note users will need the MATLAB R2012a MCR installed MATLAB Compiler Runtime.